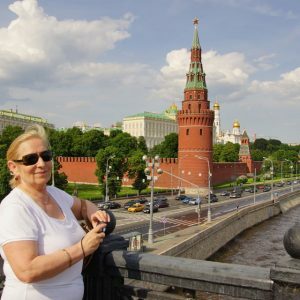 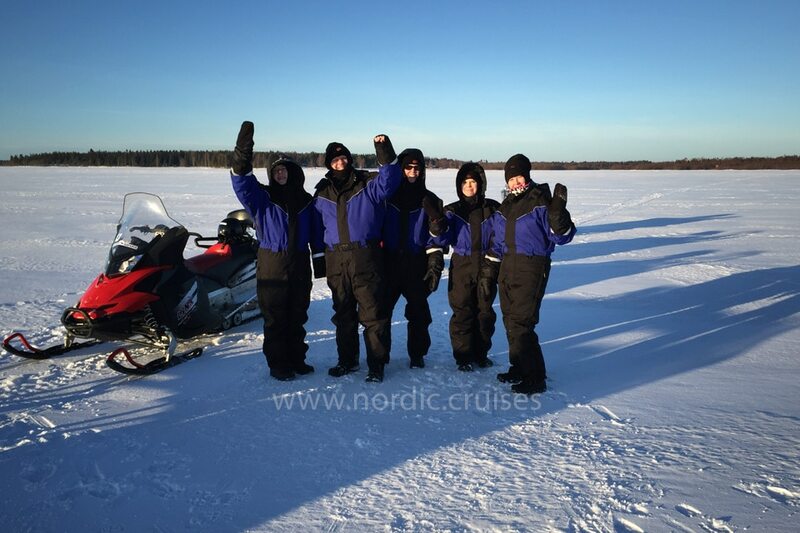 This 1 day amazing tour starts at 10:00 am. 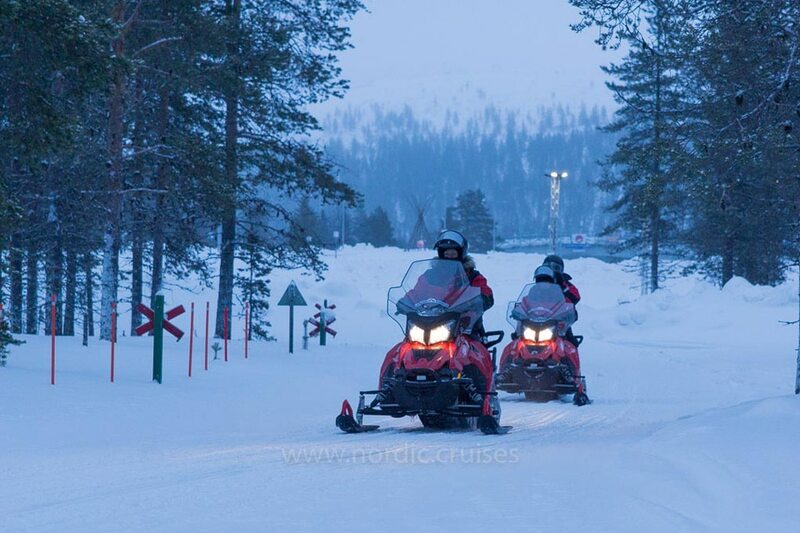 Our English-speaking guide takes you to the Northern Arctic Circle by the snowmobiles. 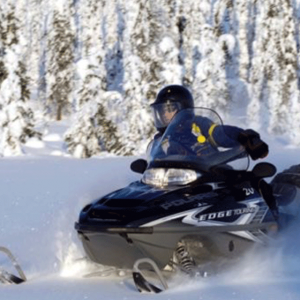 Each snowmobile is shared by two guests. 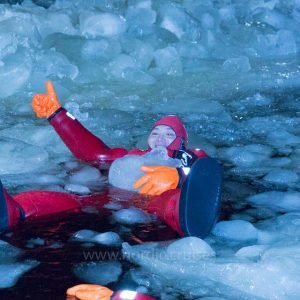 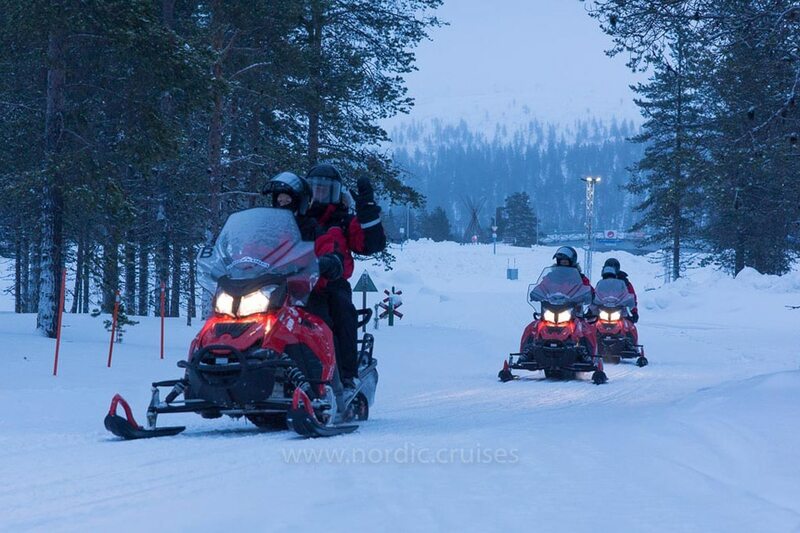 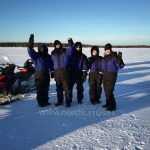 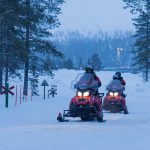 You will enjoy snowmobile ride at winter Lapland forest along the frozen rivers under the northern polar sky. 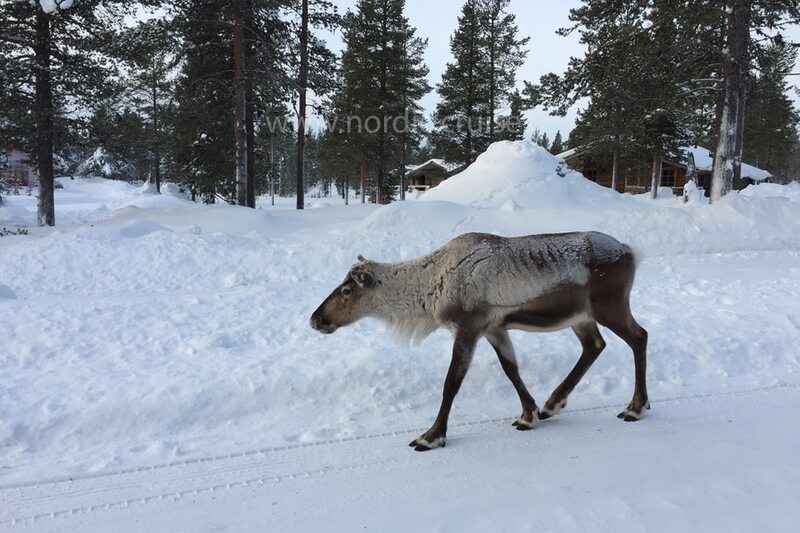 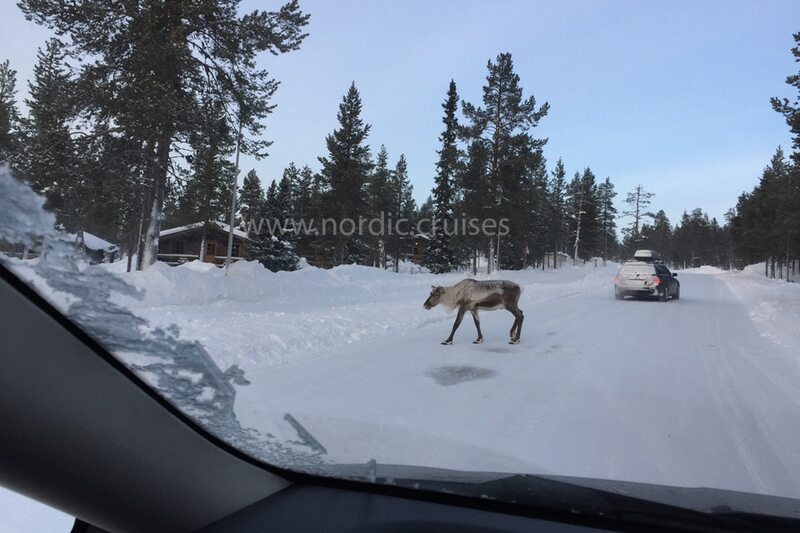 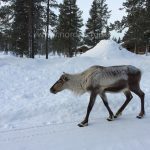 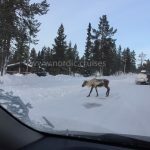 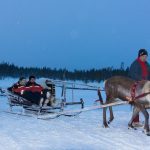 During this Lapland trip you will visit the Reindeer Farm and have experience of reindeer husbandry traditions. 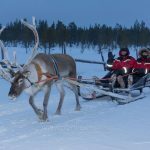 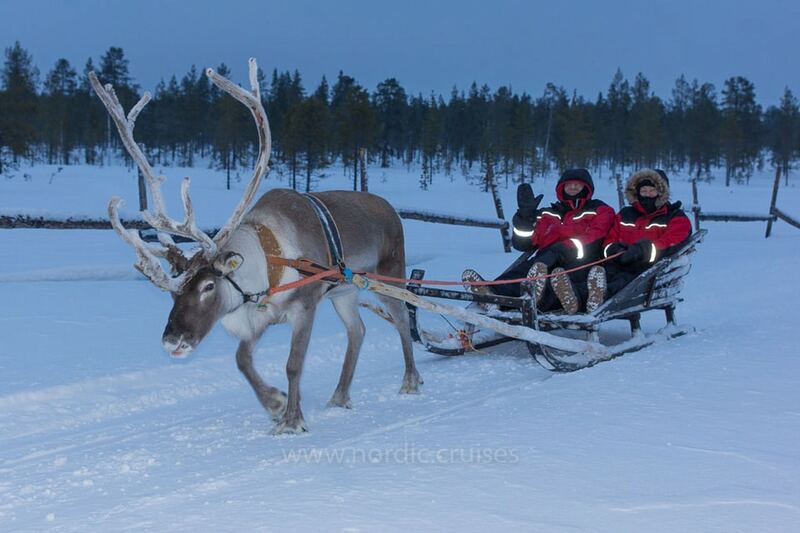 You will enjoy a fantastic reindeer sleigh ride at the Arctic Circle, the magic land of elves and reindeer. 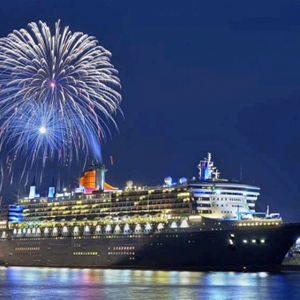 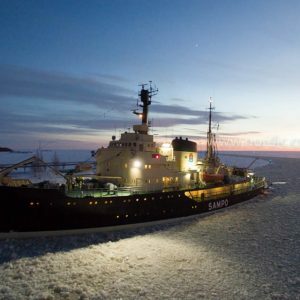 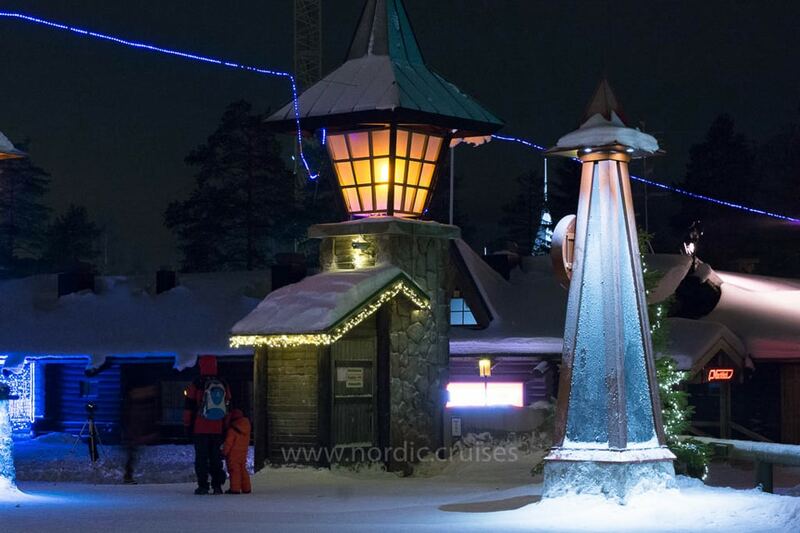 Here you will have a beautiful ceremony of crossing the Northern Arctic Circle. 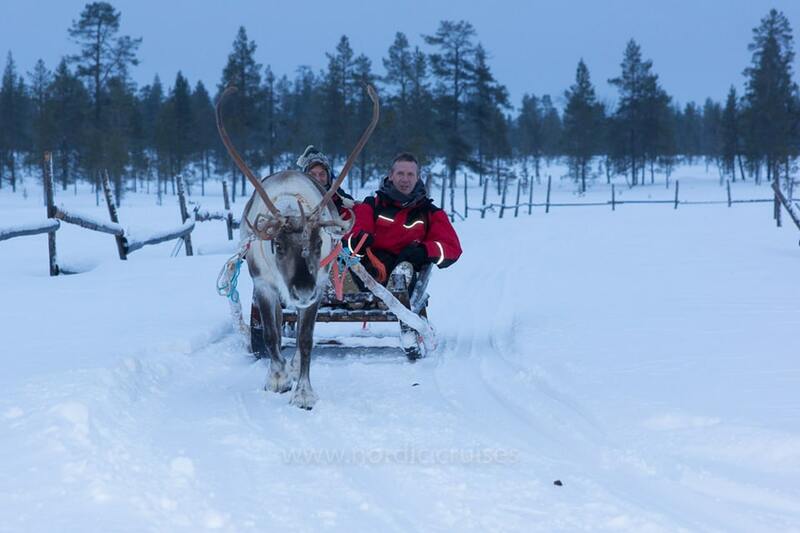 And finally, you will meet the white-bearded Santa Claus. 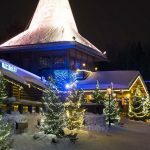 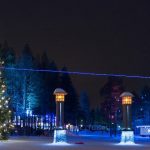 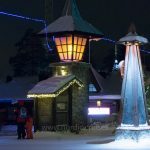 As you come to Rovaniemi and choose this tour, of course you will visit the most exciting place in the world, the Santa Claus Village. 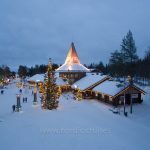 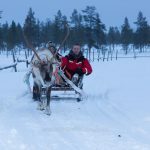 This village is located just 8 km north of Rovaniemi, in the northern polar circle The guests will visit Santa’s office and enjoy speaking this him. 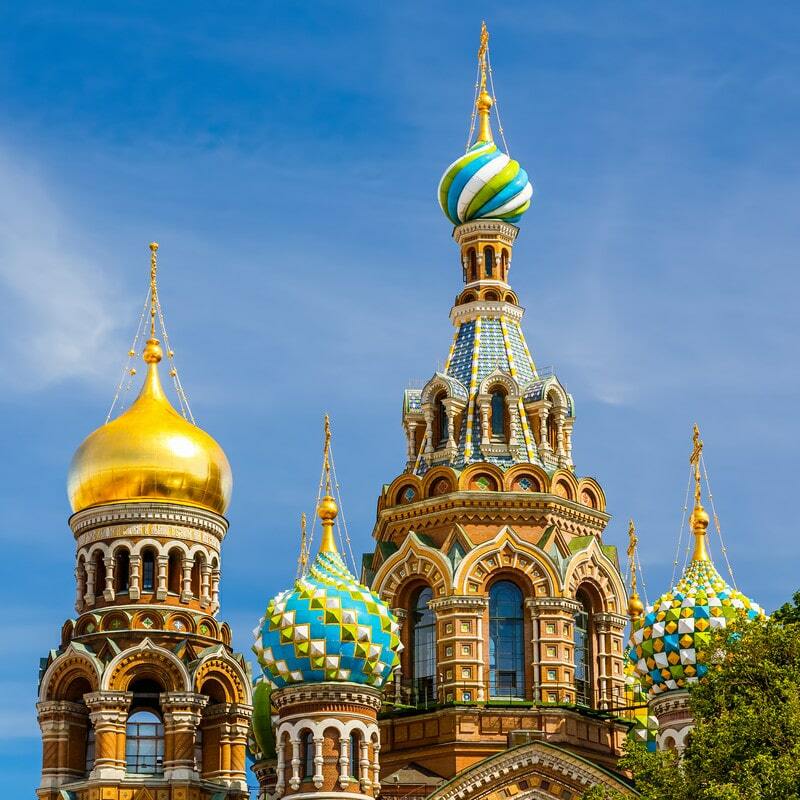 Also you can write beautiful postcard to your family and friends. 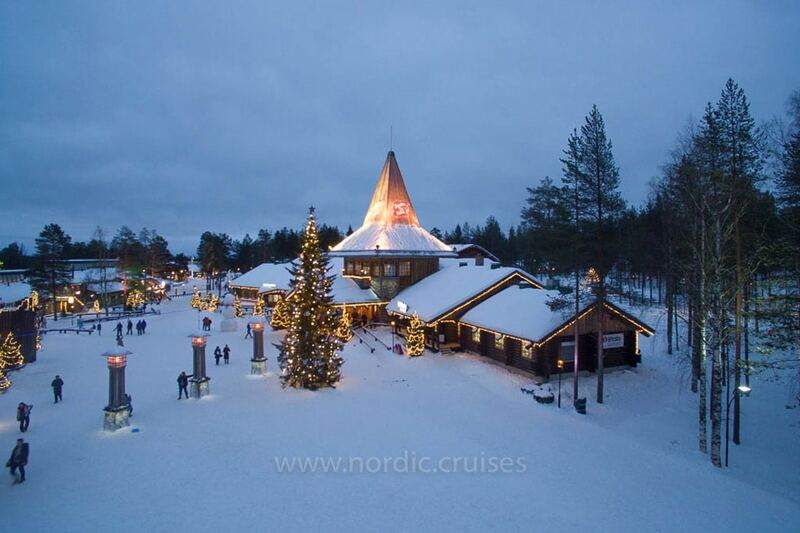 And Post Elves will mail your cards or letters with Santa’s special stamps from the North Arctic Circle, Rovaniemi. 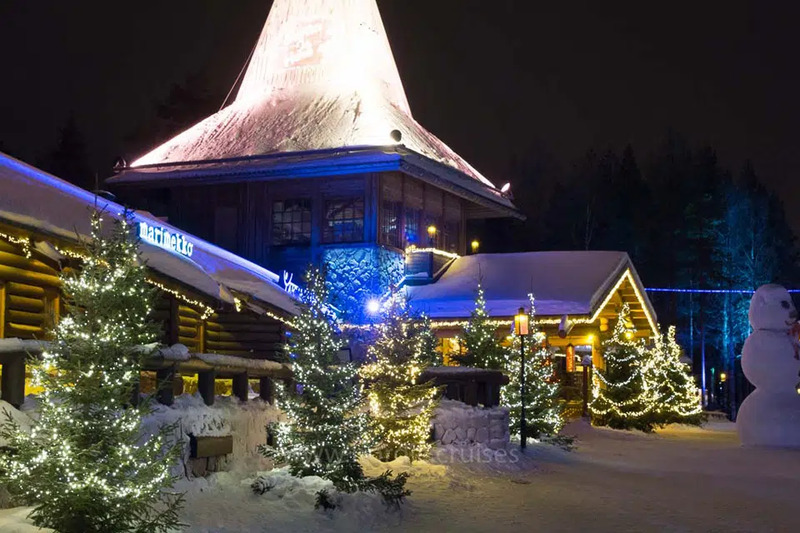 The Santa Claus Village has the impressive Main Post Office with a magic red box. 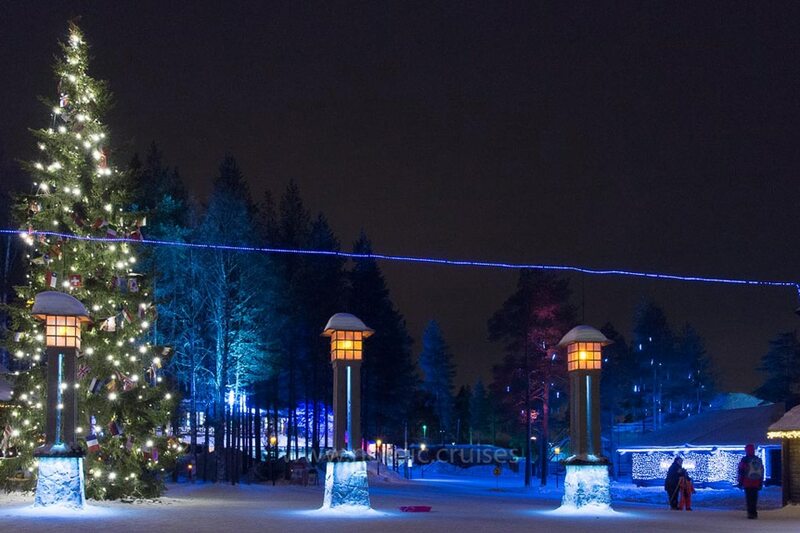 All letters with their wishes put through this magical box will be sent to Santa Claus. 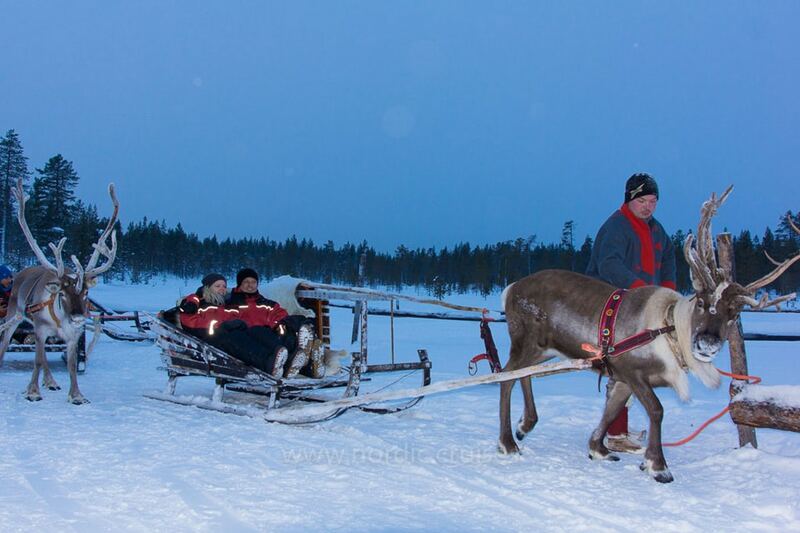 Also you can send a letter to Santa for Christmas. 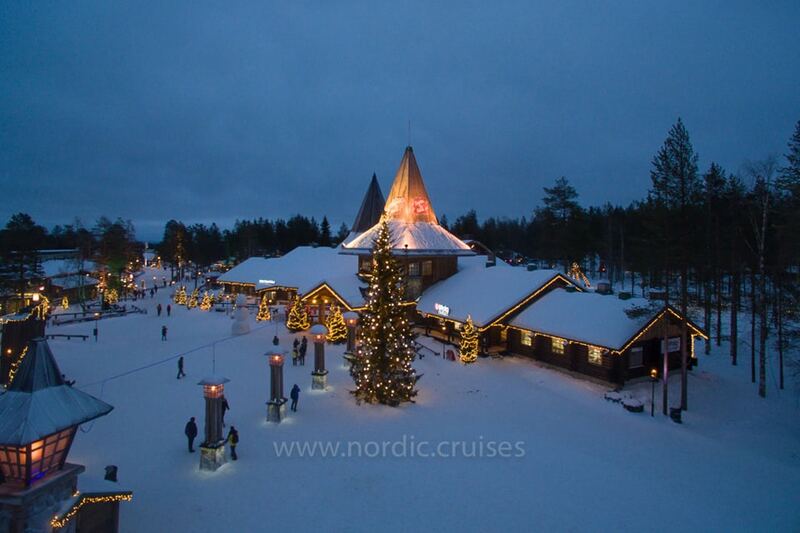 During this tour you can visit the Christmas House which is the main building Santa Claus Holiday Village. 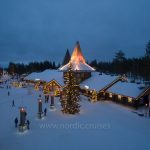 Here you will learn about tradition of Finnish Christmas and Christmas traditions around all countries of the world. 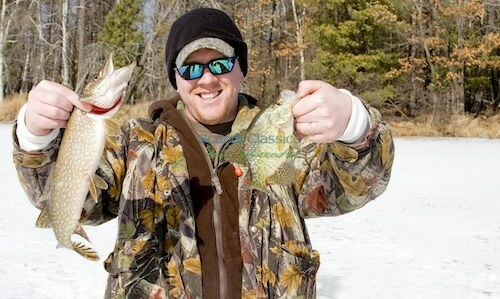 You will be lucky to meet white-bearded man and make a picture with him and enjoy a delicious lunch. 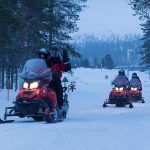 This amazing winter one-day tour takes you through all the highlights of Santa Clause Village and an exciting snowmobile ride.